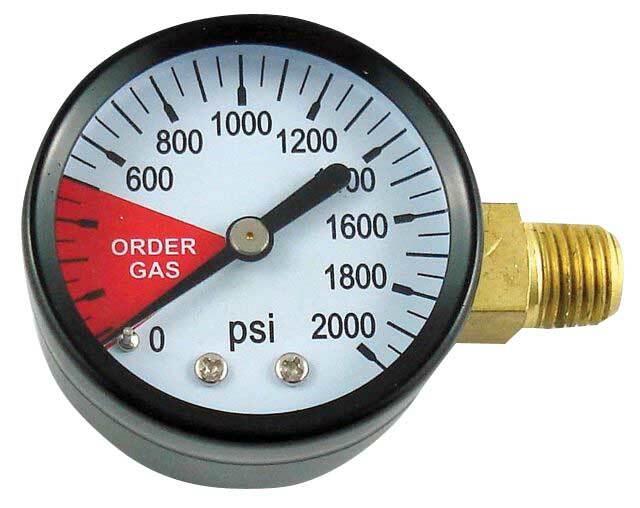 Dual gauge (60lb, 2000lb) regulator with CGA 320 connector, 1/4" barbed ball valve with internal checkball. These are the ones our Beer Geek recommends. He has been using the same one for 8 years and has never had a problem. These ones really provide the best bang for the buck in this category. Yes you can find ones far cheaper (and believe me we have tried a few) but they fail within months and you can not get replacement parts for them. The Chudnow's are made in New York State and they make repair kits should you ever need one. We sell them full and can refill on site. Tanks purchased from us can be exchanged for the cost of the fill plus $5.00. Protect your C02 gauges with these boots. The gauges on the regulators tend to be very fragile. If you use our portable C02 systems these are a must as the tanks tend to fall over and get jostled about. Use this with our C02 to Go adaptor to have a small and portable draft System. You can force carbonate and dispense about 6 19l kegs with a fill. If your just dispensing you should get about 12 kegs worth. Mileage will vary. Price includes a full fill. If you purchased your cylinder from us you can swap for a full one for an extra $3.00 on top of the fill price. We sell them full and can refill on site. Tanks purchased from us can be exchanged for the cost of the fill plus $5.00. As the tanks are prefilled they can not be shipped. 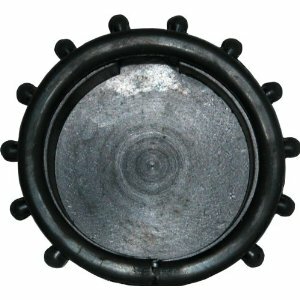 Tired of losing that fiber washer everytime you remove your regulator from your tank? 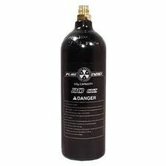 Solve the problem by installing a permenent O-ring on your Co2 tank. 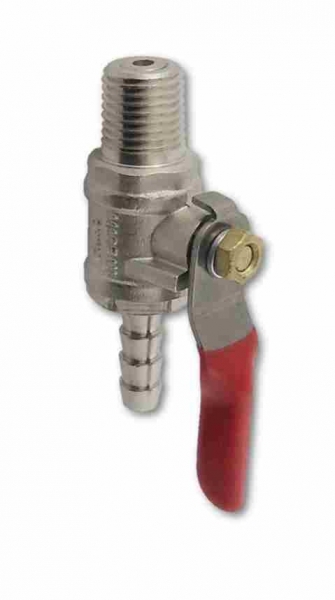 CO2 Injector has 1/4" female flare thread opening. 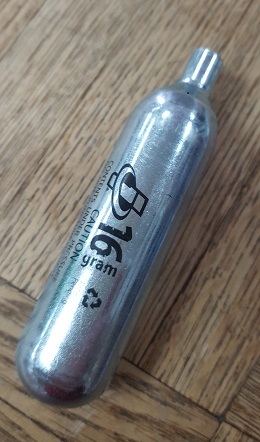 Uses 16g Cartridges. Does not come with quick disconnect. 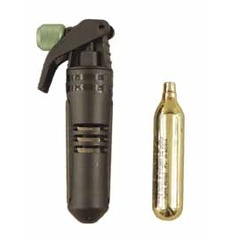 Caution</> the cartridges contain liquid co2 that will dispense at over 600PSI. With that in mind, we suggest having the faucet open before pushing more co2 into the keg. Also, do not push the inject lever when not hooked up to a keg as you will put over 600PSI into the quick disconnect and will blow the top threads off. Replacement washer fits between our regulator and the CO2 cylinder. 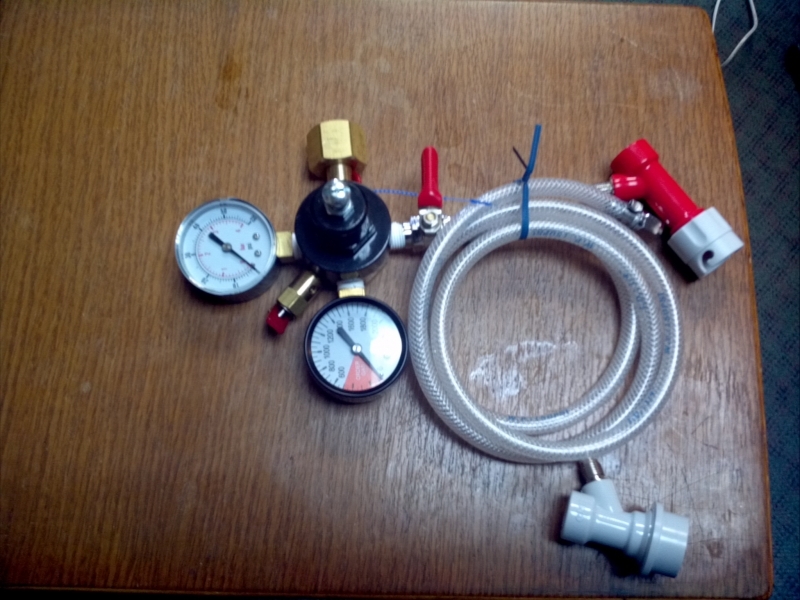 CO2 distributors allow you to supply gas to multiple kegs with one regulator. Manifold includes 3/8" MFL shut-off valves with check valves to prevent the back flow of liquid or gas into the regulator. Premium construction with easy mounting. Includes any hardware needed to adapt to those regulators. Does NOT work with Foxx Equipment Company's economy (Chudnow) regulator.